Dolls are well-loved in our house. That’s not just because of my daughter – who is mad about dolls – but also because of me. I adore them through and through and six of my childhood favourites sit proudly on my daughter’s bookshelf. Granted, two are considered ‘a little scary’ by most visitors (both are well-loved and passed down from my mother with fantastic characteristics like a wig that falls off every time you touch her and eyes my husband says “watch you as you’re walking by”). My daughter and I see past that and love them dearly. As you may imagine, I was beyond delighted with the delectable doll offerings from Etsy shop Warm Sugar. 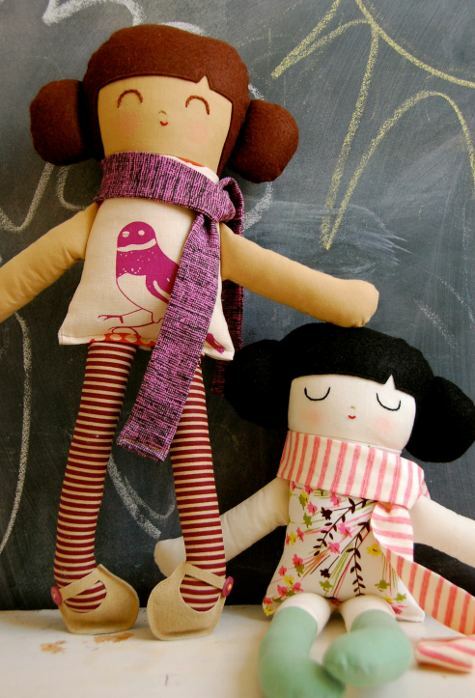 These are no ordinary dolls. They are handmade by one woman in her home studio using re-purposed vintage and designer materials. 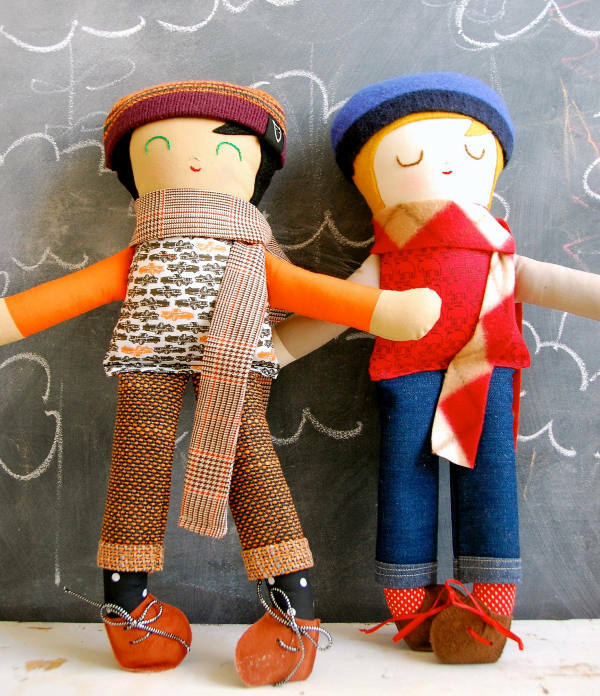 Suede, wool, fleece, felt, cotton and buttons are all incorporated to create true works-of-doll-art. 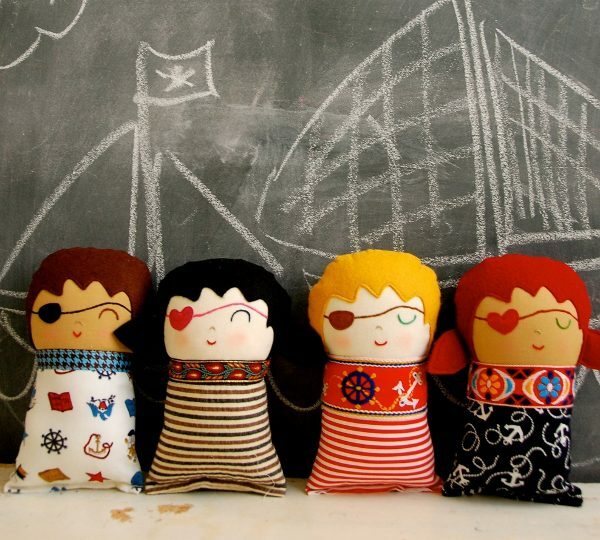 Meant to be keepsakes and treasured for generations, the dolls – for girls and boys – are also custom made for each customer. You tell Warm Sugar your choices for hair colour, skin tone, eye colour and clothing colours and patterns and the doll gets whipped up in less than two weeks! 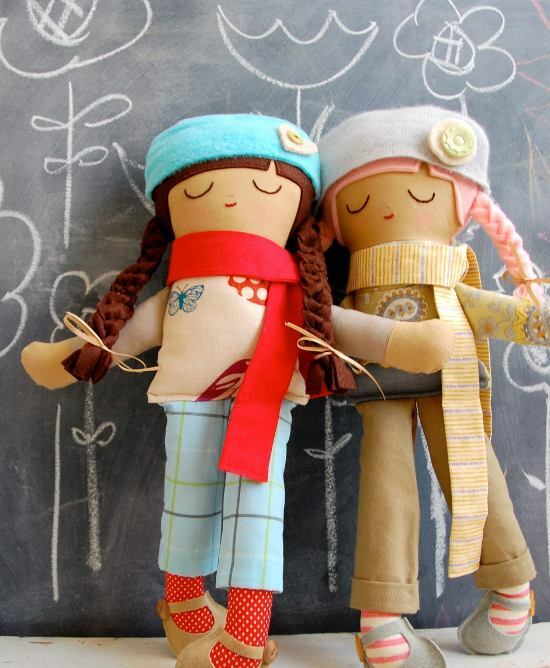 In the end, your little one has a completely one-off and unique doll designed just for them. How special is that? Most of the clothing is removable (including the real lace-up shoes) making them perfect play and learning companions. Prices range from US$21 to US$62 plus postage to Australia.